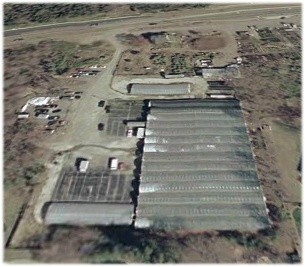 Founded in 1997, Wayne's Wholesale Nursery is located 50 miles southwest of Washington D.C. in Bealeton, VA. Drawing on Wayne's 32 years of experience in the Horticulture Industry, we provide superior plant material and quality customer service. Our production covers a wide variety of seasonal color and specialty plants grown in our acres of covered greenhouses. We are experienced in custom and contract growing, which accounted for over half our production in 2007. Our satisfied clients include The Smithsonian Institution, Arlington National Cemetery, and the U.S. Dept. of Transportation. Literally millions of Americans have passed by and enjoyed our flowers and flowering plants around the Mall in Washington, the U.S. Capitol, and adorning the Tomb of the Unknown Soldier. Our plants surround the 9/11 Memorial at the Pentagon. These customers and many others trust Wayne's for their special plant needs, and know they can expect what they need when they want it. We have grown greenroof plants for several high profile projects in the Mid-Atlantic region, and were selected to provide the sedum for the Washington D.C. headquarters of the U.S. Department of Transportation, the Federal Reserve Bank of Richmond in Charlotte, NC, and the National Institute of Health in Bethesda, MD. We keep in stock several varieties of the bread and butter greenroof plants. When you need a trusted plant source, call Wayne's for information and a quote. No Order is too large or too small.